Do you know of The Church of the SubGenius? This new doc premiering at DIFF will be a revelation. About 40 years ago, Doug Smith (a.k.a. Reverend Ivan Stang) and Steve Wilcox (a.k.a. Dr. Phyllo Drummond) started a cult in Dallas, Texas. But they didn’t mean to. And even though they weren’t employed by this publication, they certainly didn’t intend to infiltrate D Magazine’s offices in the middle of the night back in ’79 to design and print out their welcome pamphlets, which are still in circulation today, along with the “sacred” teachings of J.R. “Bob” Dobbs. That just kind of happened, too. They certainly never intended to craft the theology of “slack,” sell 100,000 copies of their Church of the SubGenius books, make a clip art prophet, or convince a generation of (dues paying) apostles that they descended from yetis. They just wanted to fool around, man. Read some comics. Maybe listen to a little Zappa. But, like so many reluctant messengers, it seems greatness would be thrust upon them. Their kinda, sorta religion, The Church of the SubGenius, would become synonymous with pre and early internet counterculture. Back then, Doug and Steve were just a couple of North Texans using jokey monikers, speaking their own lingo, ripping off catchy cult indoctrination materials, and leaving their own esoteric mark on things. They were flat-out shocked when other people started playing along too. By ’83, even famous people were publicly declaring themselves True Believers — Devo’s Mark Mothersbaugh, underground comic icon R. Crumb, and (later) Paul Reubens’ Pee-Wee’s Playhouse character all broadcasted their support. And that image of “Bob,” their main dude? It was soon everywhere. Stickers. Bumper stickers. Stencils. You couldn’t go into pizza shop bathroom without seeing that 1950s square-jaw pinching a pipe between his teeth. Until recently, The Church of the SubGenius was one of those things that a couple generations of oddballs tangentially recognized. Few knew it started here in Dallas. And the real names and faces of its architects? Well, they were known by even fewer. But Austin filmmaker Sandy K. Boone hopes to change that. Her debut documentary, Slacking Towards Bethlehem: J.R. “Bob” Dobbs and the Church of the SubGenius knocks down the walls of this long-running inside joke. This weekend, you can get in on it — “Bob” hits the big screen Friday and Sunday during the Dallas International Film Festival. Until recently, Boone had been producing and executive producing films down in Austin. While she loved helping advance the projects of others, she also knew she had her own stories to tell. She just couldn’t figure out where to start. Her late husband, David Boone passed in 2001, and by Sandy’s descriptions, he was the best kind of weirdo. He made a “SubGenius-type movie” called Invasion of the Aluminum People, which Jonathan Demme presented in a collection titled Made in Texas – New Films From Austin. And of course, David was a dyed-in-the-psychedelic-cloth SubGenius. Sandy Boone spent decades telling stories about all of the goofy SubGenius hijinks, then one year at Sundance, a friend called out her unusual vantage point. 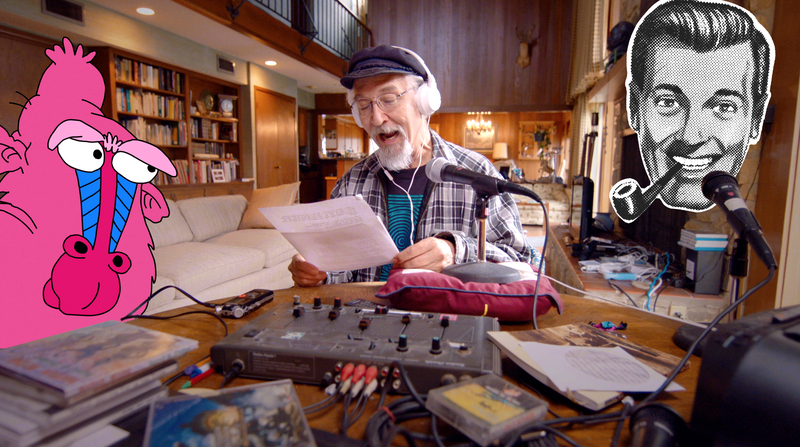 “He said, ‘you have this story about the SubGenius, that should be your directorial debut,’” recalls Boone. She was hesitant. After all, it had been forty years since she’d seen those guys – what if they didn’t remember her? Now, cults and inside jokes have a lot in common. Both are revered by a select few. Understood by even fewer. And typically, neither translates easily to outsiders. Here, Boone was dealing with both: The Church of the SubGenius was an inside joke network, masquerading as a cult. It was an open-source religion, constantly being added to, broken apart, and folded upon itself. And during its 40-year run, no one involved had never broken character. But things change. SubGenius co-founder Doug Smith was at a point in life where he saw the value in separating the two. He wouldn’t be around forever. Who would moderate the thing in his absence? “He said ‘Sandy, I’m 65. I don’t want to die and have this church turn into another real cult,’” says Boone. So, they got to work. Smith gave Boone the keys to their performative art kingdom (a storage unit in Dallas, part of his house in Glen Rose, and a level of his home in Ohio). Each spot was jam-packed full of ephemeral treasures: old cassettes, drawings and archival video footage of live SubGenius events, both local and on the road. Sandy partnered with an archivist to digitize it all. Nose to tail, it wound up being more than a non-stop month’s worth of material for editor Lauren Sanders to pick through. As they began to absorb the well of media, Boone’s retelling took shape. Slacking Towards Bethlehem: J.R. “Bob” Dobbs and the Church of the SubGenius is a story about a pair of young comic book artists with a performative streak, who—in spite of their casual natures—brought creative outcasts together in the name of independent thought, religious parody and lowbrow art. They play fast and loose with “church” doctrine, allowing everyone to take their own spin. The result is a gobstopper of theologies, schisms and dissenters–and they look like they’re having a heck of a good time doing it. These days, SubGenius co-founder Smith lives on a plot of land that’s cratered with dinosaur tracks in Glen Rose, Texas. He has two dogs, kids planted up in Dallas, a wife he met at a world music and neo-pagan festival, a house overflowing with fossils, a long-running, shape-shifting weekly SubGenius podcast called The Hour of Slack that’s actually 90 minutes long. And his duties as the steward of this 40-year-old, mail-order religion. So, he stays busy. But in the next breath he points out that he’s neighbors with the nearby creationist evidence museum. “Which is hilarious to smart alecs like me,” laughed Smith. He dips in and out of stories, delighting in the absurdity of it all and knowing full well that nothing he says is meant to be taken at face value, just like the cult he’s spent his life building. 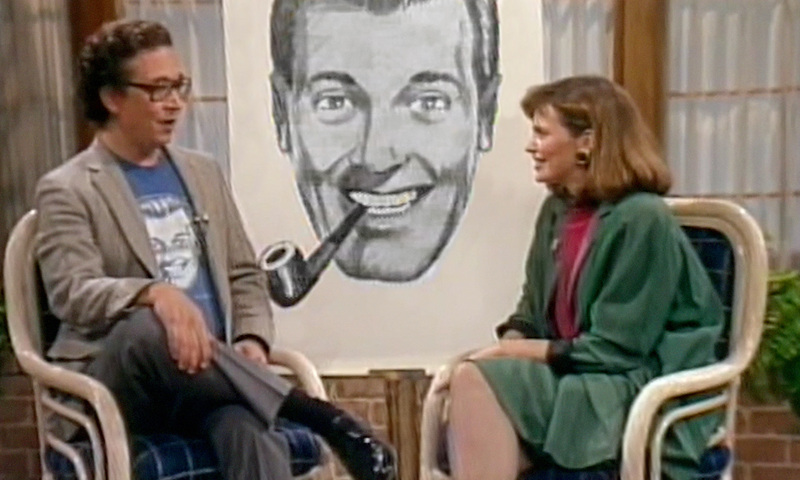 Find out if you’re a SubGenius when Slacking Towards Bethlehem: J.R. “Bob” Dobbs and the Church of the SubGenius screens Friday, April 12 at 10:30 p.m. at the Magnolia and Sunday, April 14 at 6 p.m. at Studio Movie Grill at Royal Lane. Tickets are available through Atom Tickets.